The game-streaming service Twitch will no longer offer $9/month Twitch Turbo subscriptions in the U.S. and other parts of the world where Amazon Prime is available, the company announced today. 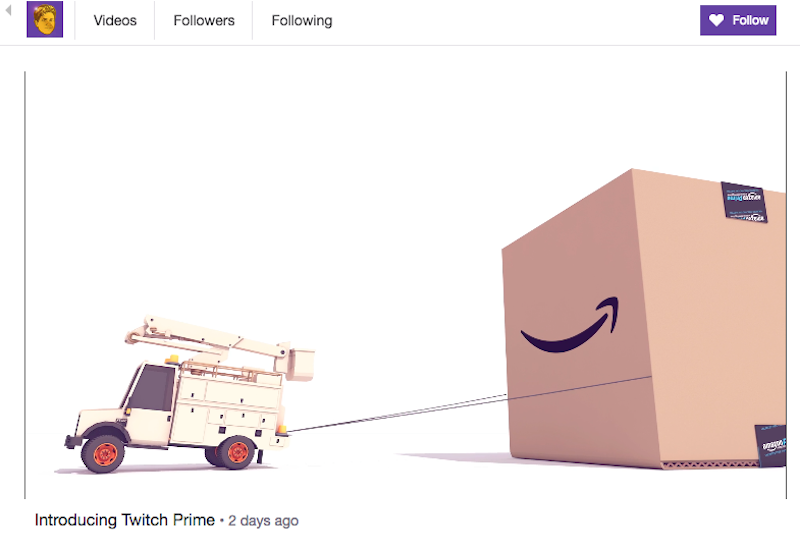 That’s because the Amazon-owned Twitch is now offering ad-free Twitch subscriptions as one of the many perks customers will get for $11/month Amazon Prime subscriptions. The change was announced today during the kick-off of Twitchcon in San Diego and is elaborated on in an extensive FAQ on the company’s website. The most interesting perk might be the option for Prime users to subscribe to one Twitch channel a month for “free” with Amazon directly paying the amount that that sub would normally cost to the channel the user is subscribing to.